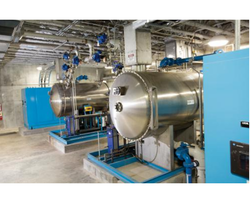 Offering you a complete choice of products which include ozone disinfection plants. Ozone is the most powerful disinfectant available for drinking water and wastewater treatment. It readily disinfects bacteria and virus and is powerful enough to deactivate the protozoan cysts giardia and cryptosporidium. The disinfection plants from Akar creates ozone on site using electricity.Since ozone is generated on site, there is no need for purchasing chemicals, transport oration or storage of the gas. Ozone does not produce any harmful effect and leaves no long-term residual oxidant in the water.